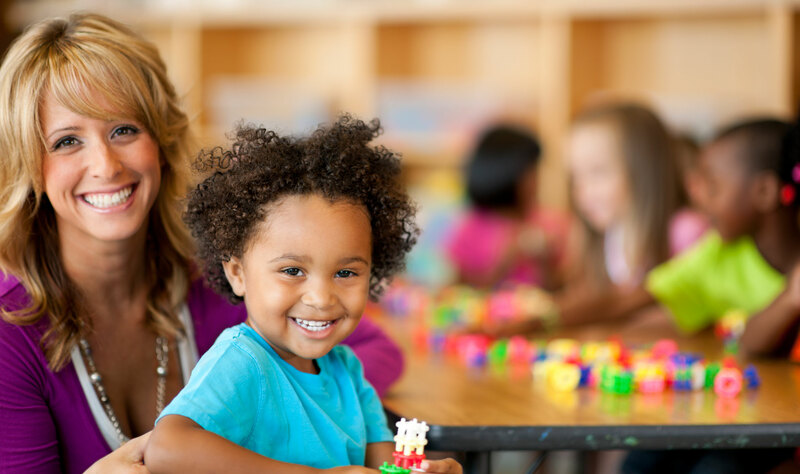 Everything you need to know in order to apply for and become a qualified child care provider. The objective of the Early Childhood Educators Qualifications Upgrade Program is to financially support individuals studying in the field, who work in licensed home or centre-based agencies, Head Start Programs, Publicly funded schools, EarlyON Child and Family Centres, or a child care and family program funded under The Journey Together, to obtain a ECE diploma and become eligible to apply for membership with the College of Early Childhood Educators (CECE). Financial support is available to eligible applicants in the form of an education grant, travel grant, and training allowance. Financial support is available to eligible applicants in the form of an education grant, travel grant, and training allowance. We are now accepting 2019 spring/summer semester applications, and we continue to accept winter semester applications. Learn how to apply and be eligible for financial support, through the education grant. Explore financial support that covers living cost incurred while pursuing a diploma. Learn how you can apply. See a listing of potential grant eligible Qualifications Upgrade programs, categorized by Ontario colleges. Search the list of most frequently asked questions, in regards to the Qualifications Upgrade Program. The education grant is available to cover tuition fees related to a recognized Early Childhood Education diploma. Applications are processed on a first come, first serve basis, once all documents required to process an application have been received. Funding is not guaranteed and is based on the number of applications received, and available funding per semester. Be an existing employee of EarlyON Child and Family Centre or employed in a child care and family program funded under the Journey Together. Required 6 months of employment is exempted. Be an existing employee of a licensed home or centre-based agency, family support programs or of a publicly funded school; including First Nation Education Authorities in Ontario, for at least 6 months. 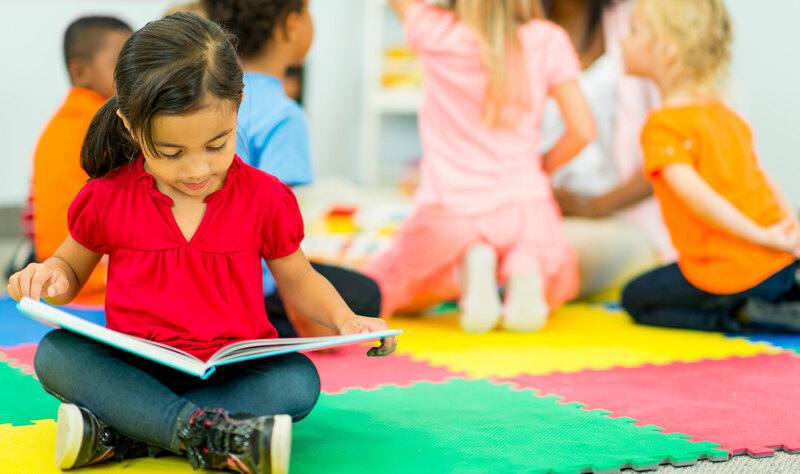 Be enrolled in or accepted to a recognized community college in Ontario for full-time or part-time studies towards an Early Childhood Education diploma. Disclose if he/she is receiving funding from other sources (excluding OSAP Provincial Student Loans). Be legally entitled to live and work in Canada. Be living and/or working in Ontario. NOTE: Individuals working at an EarlyON Child and Family Centre or employed in a child care and family program funded under The Journey Together are exempted from the required 6 months of employment. Demonstrate that they operate a registered business by including the name of their business, HST and or business number in their application form. Demonstrate that they have cared for children for at least 6 months through reference letters from parents and or suppliers. Disclose if he/she is receiving funding from other sources (i.e. other grants or awards, excluding OSAP Provincial Student Loans). Completed the application for education grant form. Documentation from their employer, confirming their employment start date, employment status, as well as how many hours they will be working per week once they attend school. A copy of the letter of enrollment into a recognized Early Childhood Education diploma program or a copy of their course registration documentation. A copy of their tuition receipt identifying that their courses have been paid for in full, that clearly states the amount paid. An application checklist detailing all requirements is included as part of the application form. Applicants pursuing part-time studies must apply prior to every semester while applications for full-time studies are only required once per academic year (2 semesters). Applications are processed on a first come, first serve basis once all documents required to process an application have been received. Funding is not guaranteed and is based on the number of applications received, and available funding for that semester. There is limited funding available through this program and therefore individuals are encouraged to submit their applications as soon as possible; preferably prior to the start of classes. Since college registration dates vary for part-time and full-time studies, funding is allocated to ensure that part-time and full-time students have equal opportunity to receive financial support. Once the available funding has been awarded for the academic session, a notice will be posted on the website and no further applications will be accepted. Within 4 weeks of receiving all required documents, the Program Administrator will contact the applicant, in writing to advise whether his/her application for a grant has been approved. If approved, the Program Administrator sends the applicant a Grant Assistance Agreement for signature, along with a Confirmation of Payment Instruction form. With a witness, the applicant signs the Grant Assistance Agreement and returns all documentation to the Program Administrator. The Program Administrator signs the agreement and returns a copy to the applicant for his/her records. The education grant is based on applicable tuition fees, minus any other grants or awards; excluding OSAP Provincial Student Loans. Payments are made once the Program Administrator receives the applicant’s signed Grant Assistance Agreement. For full-time studies, grants are payable in 2 payments. The first at the beginning of the academic year, and the second payable mid-year once the applicant submits a transcript for their first semester. For part-time studies, grants are payable at the beginning of every semester. Depending on the amount of funding received, the education grant may be taxable. Grant recipients will be issued a T4A slip at the end of every calendar year in which they received payment. Get started on the process for eligibility by completing your application for the education grant. Use the links below to apply online or download a PDF version of the form. Travel Grants are available to assist students with daily commute expenses incurred while attending classes, first aid training, and/or completing the placement component of their program. Travel Grants may also provide assistance to individuals who are required to live temporarily away from their homes to pursue their studies. The Travel Grant amount for travel by car is determined by multiplying the kilometre rate of $0.40/km in Southern Ontario and $0.41/km in Northern Ontario by the return distance between the applicant’s home address and the educational institution location, and then by the number of days of the individual attends classes. Evidence of the distance between the education/training/placement location and the student’s home must be provided in the form of a Google map. For travel by bus or train, a coach class economy fare is the standard for ticket purchase. Applicants must provide the estimated cost of bus or train fare with their application, along with the number of days the individual attends classes. The cost of the bus or train fare for the days that the applicant attends classes will be reimbursed. All documentation, including receipts and tickets, must be provided to the program administrator for reconciliation. Individuals who are required to fly in order to attend courses or placements must provide the estimated cost of air fare with their application. Economy (coach) class is the standard option for ticket purchase. The cost of air fare will be reimbursed. Proof of payment with first and last name must be provided to the program administrator for reconciliation. Individuals who are required to live temporarily away from home must submit the anticipated costs of their accommodations, and indicate the number of days they will require accommodation. These individuals will receive a daily stipend for meal expenses in alignment with the government’s Travel, Meals and Hospitality Expenses Directive, multiplied by the number of days they are living away from home. Receipts for accommodation expenses must be provided to the program administrator for reconciliation. If for any reason, a Travel Grant recipient is unable to travel for one or more of their in-class sessions, the recipient will be required to reimburse the program for the days not traveled. Reasons include but are not limited to, inclement weather, illness, and/or family circumstances. Applicants must be approved for an education grant under this program. The educational institution and or placement location must be more than 20 kilometres one-way from the applicant’s home address. Hotel selections must be in line with the Government of Canada Accommodation Directory. Therefore applicants must ensure their hotel is listed as an acceptable accommodation by searching for their city through the directory. Proof of payment for accommodations must be provided prior to reimbursement. Students who must live away from home to attend their in class session may also be eligible to receive a meal allowance of $45.00 per day for the duration of the in-class session. Applicants that meet all of the eligibility criteria must submit a completed application for travel grant form. This form can be submitted with the application for education grant form, in order to expedite the approval process. The travel grant is determined by multiplying the kilometre rate of $0.40 per kilometre by the return distance between the applicant’s home address and the educational institution or placement location, and then by the number of days of the classes or placement. For full-time studies, grants are payable in 2 equal payments, the first at the beginning of the academic year and the second payable mid-year (after 1 semester), once the applicant submits a transcript for the first semester. For part-time studies, grants are payable at the beginning of every semester. Travel grant payments are deposited directly into the recipient’s bank account. The travel grant is taxable as income. Grant recipients will be issued a T4A slip at the end of every calendar year in which they received payment. NOTE: If for any reason a travel grant recipient is unable to travel for one or more of their in class weekend sessions, the recipient will be required to reimburse the grant program for the days not traveled. Reasons include but are not limited to, inclement weather, illness, and or family circumstances. Get started on the process for eligibility by completing your application for a travel grant. Use the links below to apply online or download a PDF version of the form. 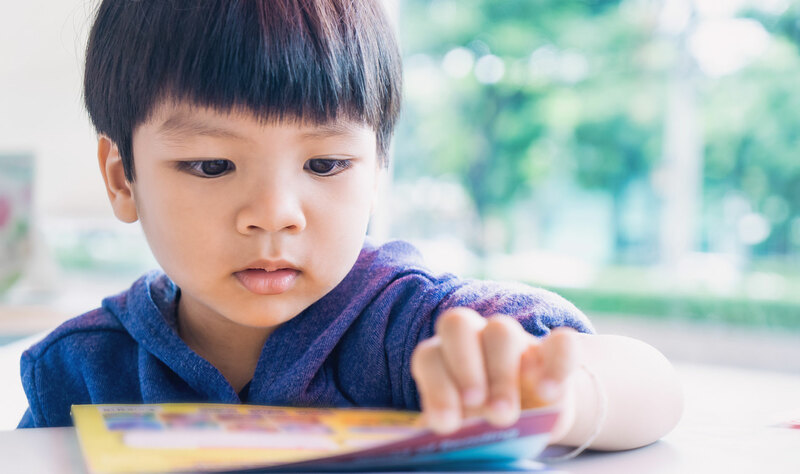 A training allowance is available to assist education grant recipients with living expenses and other incremental costs incurred while pursuing their Early Childhood Education diploma. Please be advised that the Grant Assistance Program reserves the right to request additional information for any grant requests. Students may be required to submit a letter from their employer as evidence that they are no longer employed, or are employed part-time. If so, the letter must indicate the number of hours worked per week in order to receive any type of training allowance. Full time Students who remain employed part-time (less than 30 hours per week) will receive a $300.00 training allowance for each course taken per semester. Full time Students who remain employed full-time (30 hours or more per week) are eligible to receive a book allowance of $150.00 per course, up to a maximum of $500.00 per semester, as part of the training allowance. Full-time students who have left their employment to pursue full-time studies will receive the full training allowance in the amount of $5,000.00 per semester. Full-time students who are required to leave their full-time employment for a period of time, such as to complete their placement or to take courses on campus, may be eligible to receive a training allowance for the duration of their absence from work. All part time students will receive a $300.00 training allowance for each course taken per semester. All approved education grant recipients (full-time and part-time) are automatically assessed for a training allowance. For full-time studies, grant payments are separated into 2 equal payments; the first at the beginning of the academic year, and the second payable mid-year (after one semester), once the applicant submits a transcript for the first semester. For part-time studies, grants are payable at the beginning of every semester. Training allowance payments are deposited directly into the recipient’s bank account. The training allowance is taxable as income. Grant recipients will be issued a T4A slip at the end of every calendar year in which they received payment. In order to be eligible to receive a training allowance, an individual must be approved for the education grant under this program. Financially supporting Early Childhood Educators in Ontario, to obtain their ECE Qualifications Upgrade diploma. To the right is a listing of ECE programs found within Ontario colleges that are potentially eligible for funding. The following educational institutions have programs that may be eligible for financial support through our Qualifications Upgrade program. What type of financial assistance is available through the Early Childhood Educators Qualifications Upgrade program? Education Grants are available to cover tuition fees related to a recognized Early Childhood Education diploma. Travel Grants are available to assist Education Grant recipients with daily commute expenses incurred to attend classes or to complete the placement component of their program. Full-time and part-time students may receive a training allowance of up to $5,000.00. Do I have to work for a minimum period of time within an eligible agency before I can apply for financial assistance under the Early Childhood Educators Qualifications Upgrade program? What if I changed employers, will the program consider my total employment period within eligible agencies for the purpose of the 6 month eligibility period? Yes. The total period of time that you have been employed within eligible agencies in Ontario will be considered toward the 6 month eligibility period. Is financial assistance available to staff who work part-time? Yes. Financial assistance is available to full-time and part-time employees working within an eligible agency. What if I completed an Early Childhood Educator program before being hired, can I apply for reimbursement of my tuition through this program? No. This program is to support individuals presently working in the field who want to upgrade their qualifications. I am currently employed within an eligible agency and am also enrolled in a qualifying program. Can I receive funding? Yes. You can apply for funding related to the courses that you have not yet completed, provided that you meet the eligibility criteria. Will the program consider courses offered at colleges outside of Ontario? No. Since there are a number of program delivery options available in Ontario, this program will only consider applications for programs offered within this province. Are the fees related to apprenticeship training eligible under this program? No. Apprenticeship fees are not eligible; however, if you intend on pursuing the additional course work required to obtain your Early Childhood Education diploma, you can apply for an education grant to cover the tuition fees related to those courses. Are university programs in the field of Early Childhood Education or other related college programs eligible for financial assistance? No. 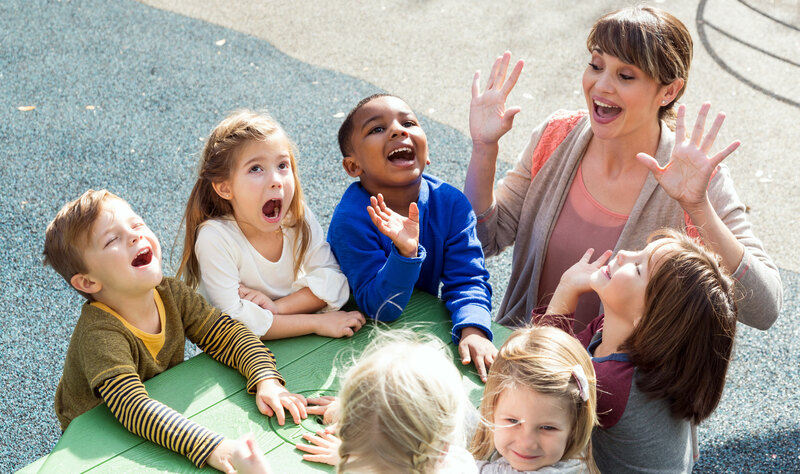 This program is to support individuals working within the regulated child care system in Ontario who want to earn their Early Childhood Education diploma. Is the Early Childhood Education diploma offered through Mothercraft eligible under this program? Yes. This diploma is eligible for financial assistance. If I want to apply for credit towards my diploma through the Prior Learning Assessment and Recognition (PLAR) process, can I apply for financial assistance towards the related fees? No. PLAR fees are not eligible for financial assistance under the Early Childhood Educators Qualifications Upgrade program. I am currently taking ECE courses at a recognized college in Ontario to obtain my College of Early Childhood Educators – Letter of Equivalency, are these courses eligible for financial assistance under the program? Yes. These courses are eligible under the program. Can I terminate my employment in order to return to school full-time in an approved program? Yes, as long as you meet the 6 months of eligibility. Please review the ‘Application’ section of the program guidelines for details regarding this process. Can I terminate my employment in order to return to school part-time in an approved program? As a part-time student you must remain employed within the regulated childcare system in Ontario for the duration of your Grant Assistance Agreement. The application for travel grant asks me for the name of the agency where I will complete my placement. What if I don’t have this information at the time of application? If the information regarding your placement is not known and you wish to apply for a travel grant related to expenses incurred to attend classes, you should submit your application as soon as possible. You can provide the information regarding your placement at a later date. It is important to remember that expenses incurred prior to receiving approval from the Program Administrator will not be eligible for reimbursement. It generally takes approximately 4 weeks to process an application once all the required information has been submitted. What happens if I’m approved for financial assistance? A letter is sent to you when your application has been approved by the Program Administrator. The letter is accompanied by a Grant Assistance Agreement which specifies the terms and conditions for the provision of financial assistance, as well as a Confirmation of Payment Instruction form so that you can receive payment through direct deposit. After you have signed the agreement, you will return all of the documents to the Program Administrator and a copy will be returned to you for your records, once finalized. How is my grant calculated? The education grant is based on your tuition fees, minus any other grants or awards; excluding OSAP loans. When can I expect to receive my grant payments? For full-time studies, grants are payable in 2 payments. The first at the beginning of the academic year and the second payable mid-year, once the applicant submits a transcript for their first semester. For part-time studies, grants are payable at the beginning of every semester. Payments are only made once the program administrator receives your signed Grant Assistance Agreement. Is the grant funding taxable? Grant recipients will be issued a T4A slip at the end of every calendar year in which they received payment. For more information, please visit the web site of the Canada Revenue Agency. Are faxed applications accepted or do I have to mail originals? Yes. Faxed, mailed, and emailed applications are accepted. What happens if I’m approved for a grant and then I withdraw from my studies? It is your responsibility to inform the Program Administrator immediately if you withdraw from your funded course(s) and or program. If you withdraw from your studies, you are required to repay the education grant, as well as any travel grant and or training allowance received for the withdrawn course(s). If you fail to advise the Program Administrator of your course withdrawal, you will be liable to repay the grant, plus interest and you will be ineligible to apply for any further grants. What happens if I’m approved for a grant and I fail or do not complete a course within the program? Once you are approved for funding, you are responsible for ensuring that you meet all academic requirements to continue in and successfully complete your funded course(s) and or program. If you fail or do not complete a course, you are required to repay the education grant, as well as any travel grant and or training allowance received for the failed course(s). What is considered full-time studies? To be eligible to receive funding for full-time studies, you must be considered a full-time student by your educational institution, and you must carry at least a 60% course load during the semester. What happens if I receive full-time funding and receive course exemptions during the semester? If you receive 1 or more course exemptions during the semester in which you are receiving funding, you must inform the grant Program Administrator immediately. If your course load drops below 60%, you will be considered a part-time student and will be required to repay any education grant, travel grant and or training allowance received for the exempt course(s). Please note that if you terminated your employment to pursue full-time studies and are now considered a part-time student, you must secure employment with an eligible agency to be eligible for additional funding under the program. If you fail to advise the Program Administrator of your course exemptions, you will be liable to repay the grant, plus interest and you will be ineligible to apply for any further grants. Where can I go to get more information about the Early Childhood Educators Qualifications Upgrade program? Additional information on the Early Childhood Educators Qualifications Upgrade program is available from the website or by calling the toll free number, at 1-866-989-9299.